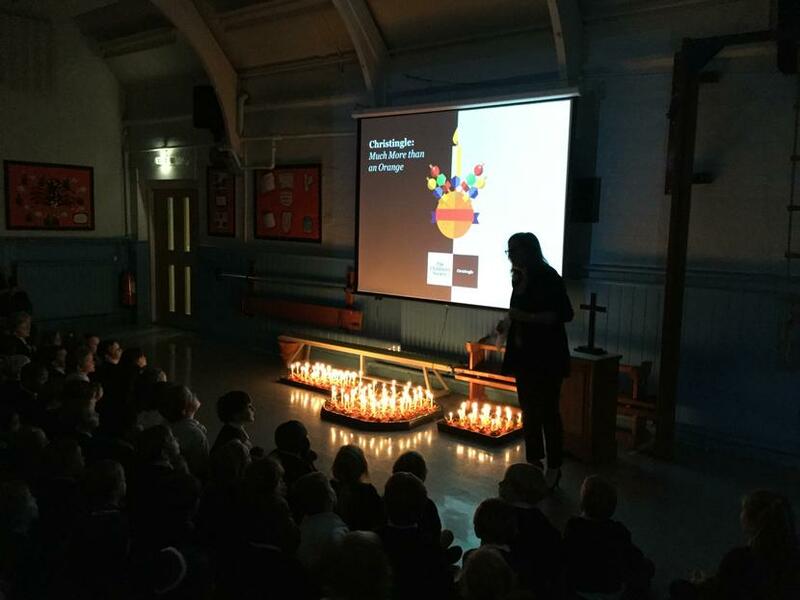 All the children of St Mark's spent time today making wonderful Christingles and learning about the significance of each part. 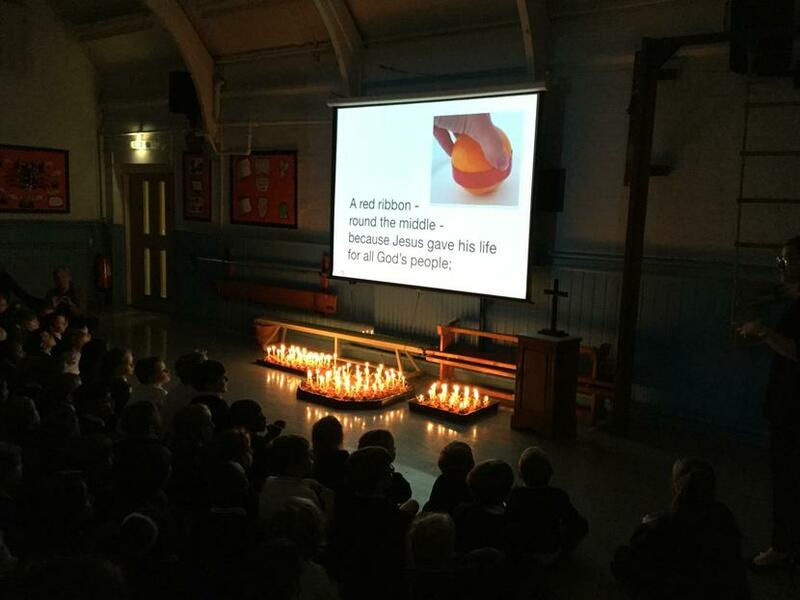 The red ribbons shows God's love wrapped around the world and the blood Christ shed. 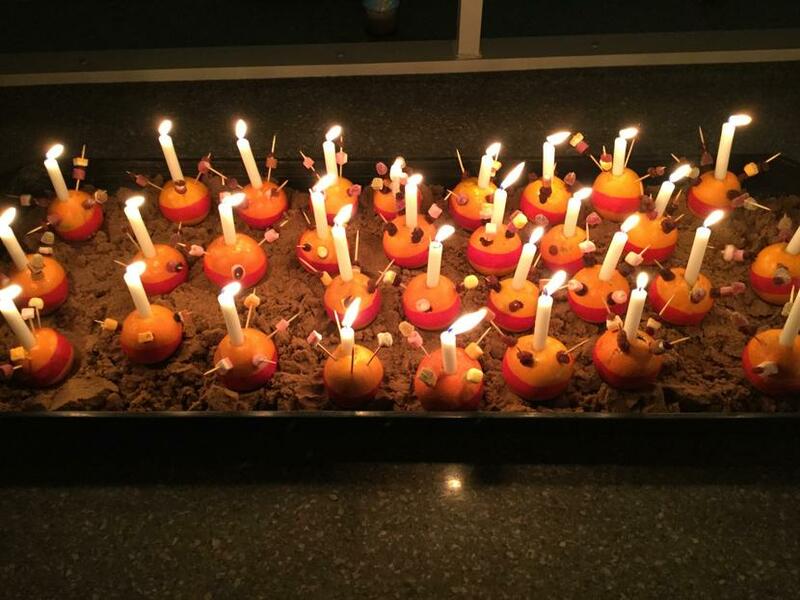 The 4 sticks and sweets stand for the seasons and God's creations. 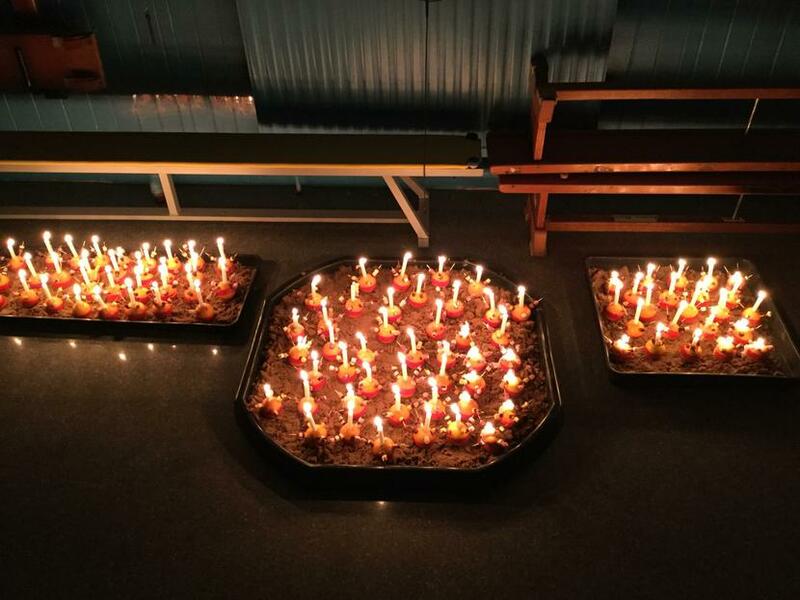 The candle symbolizes Jesus - the light of the world. 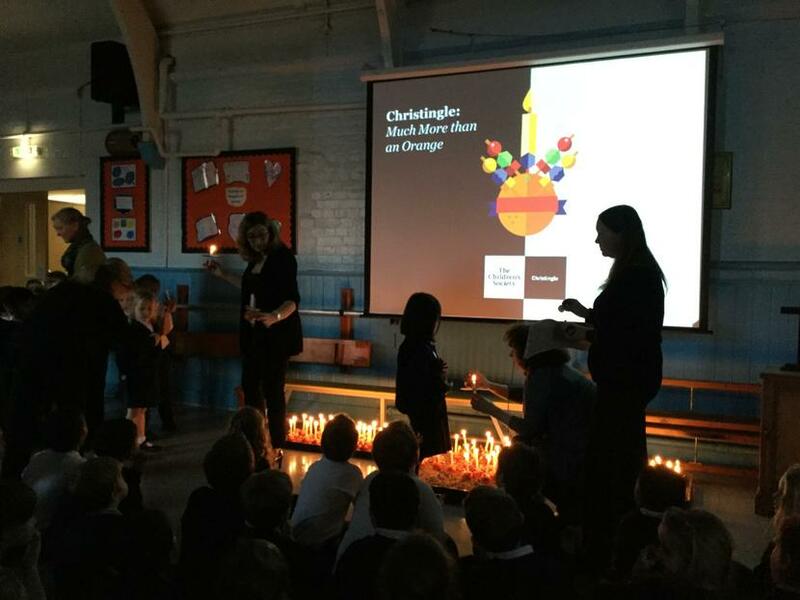 We then came together as a school, lighting our Christingles and watching the lights flicker in the darken hall. 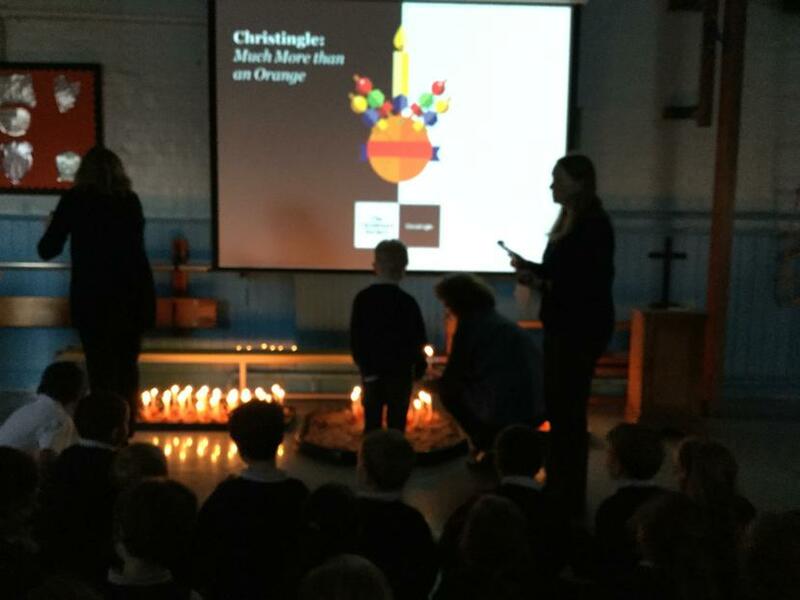 A time for reflection before joining in with two rousing songs celebrating the meaning of the Christingle. 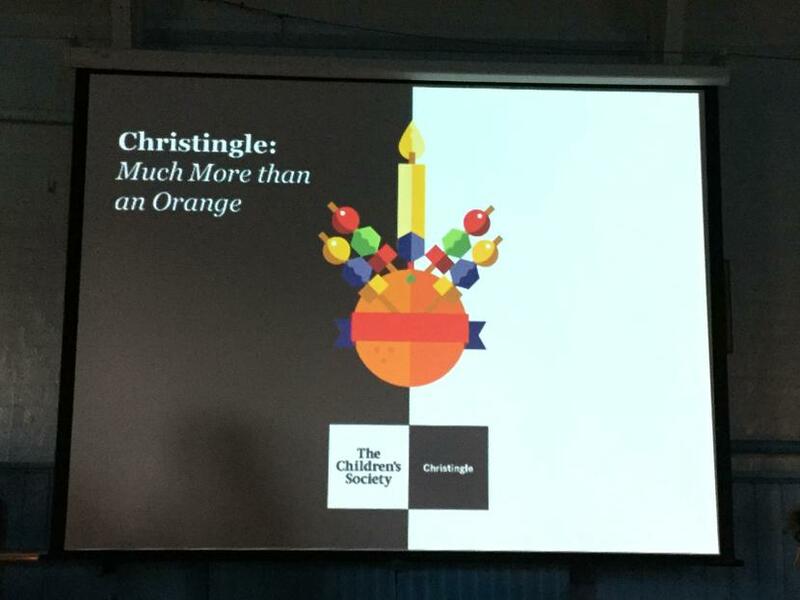 Thank you to our volunteers who came to help make the Christingles with the children and to Mrs Watson for getting 22 bags of oranges!